Below you will find the new method on how to access your PID number needed to register on this site. Please follow the instructions carefully. Log in to your Club Pogo account and go to your My Collection Page. 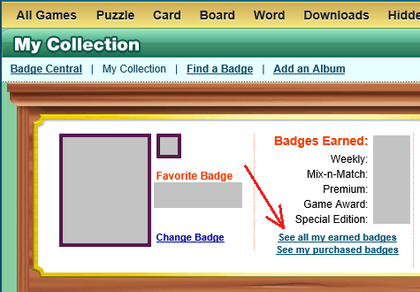 With your mouse, right click on the "See all my earned badges" link and select "Copy Shortcut". Hover your mouse pointer over the box below and "right click" and then select "Paste". Then hit the "Submit" button. You should now see your Pogo PID # in the box above. Simply copy the numbers you see above and head over to our registration page and create your free account!